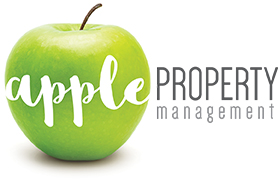 The following information should assist you in dealing with Apple Property Management and ensure a trouble free tenancy. Please telephone or call into our office to arrange inspections. 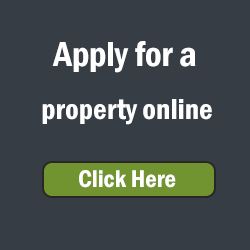 You will need to complete a Tenancy Application which includes, but is not limited to, personal information, employment detail, tenancy history and referees. Your application should also include a copy of your photo ID, rent receipts and any other supporting documentation. We endeavour to process applications within 48 hours of being received complete. Once notified of your application being approved, you should immediately arrange for one weeks rent to be paid as a deposit and finalise an appointment to complete the Residential Tenancy Agreement and related documentation. Pay: An amount equivalent to 4 / 6* weeks rent (*unfurnished / furnished property bond rates) your first two weeks rent less any deposit previously paid + $15 Residential Tenancy Agreement preparation fee. Once all necessary paperwork is signed and all monies paid, you’ll be issued with the keys to your new home. Rent under your Residential Tenancy Agreement is payable fortnightly in advance. If at any time you are unable to make a rental payment, on or before the due date, please make immediate contact with your Property Manager. Our office does not accept spilt payments, for tenancies with more then one tenancy, you must combine you payments before depositing funds into the rental trust account. Your rental bond will be lodged with the NSW Department of Fair Trading. The bond is held as security against any damage or undue wear and tear. The bond will be refunded promptly after you vacate, provided the property is left in as close as possible to the same condition as when your tenancy commenced and there are no monies owing. The bond is not intended to be used for the last months rent, when vacating you must continue to pay rent until your vacate date. During the course of your tenancy, the premises will be inspected periodically by Apple Property Management. These inspection are detailed but do not take up a great deal of time, a check list will be sent to you prior to the inspection time, we ask that tenants take the time to fill out these forms and list any repair issues that they have noted while living at the property. All repair issues are passed onto the owners for approval. A duplicate key to all properties is retained by Apple Property Management for emergency access. Under special circumstances, and on producing identification, these keys may be borrowed during office hours, but must be returned within the hour. No service is available out of office hours or on public holidays. Locks may only be changed, after first obtaining permission from Apple Property Management, and then on the strict understanding that you supply us with a spare set of keys. Remember, it is in your interest to ensure that we have access. We strongly urge you to insure your personal possessions against any loss, damage or theft. It is each tenant’s responsibility to have the appropriate account placed in his or her name(s) and then to arrange to have a meter reading, prior to vacating the premises. If however, unforeseen circumstance arise and you have to vacate prior to the expiration of your Residential Tenancy Agreement, please contact your Property Manager immediately and we will endeavour to find another suitable tenant. However, you will still be responsible for rent until another tenant is found, as well as the payment of a letting fee, an Agreement preparation fee and all advertising costs.